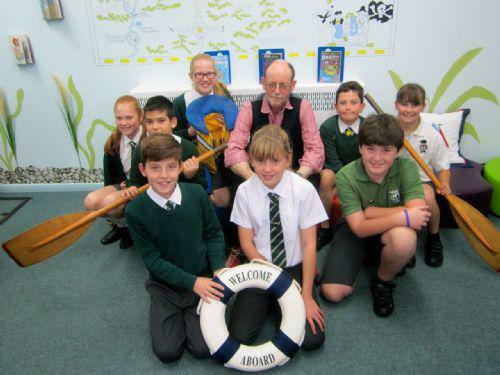 Walk into our new school library today and you will be transported back to the world of Arthur Ransome’s classic story, Swallows and Amazons. Up-turned rowing boats, trees growing out of the walls, a wigwam with campfire and a huge wall map depicting the world where the children’s adventures take place. It really is an adventure in itself just to walk into the library. Hundreds of books are available for children to choose from. During the summer term, children were asked what their library should look like. There were many suggestions, with some very adventurous ideas put forward. 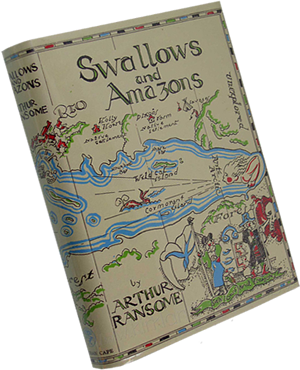 Finally it was decided the story of Swallows and Amazons and the world inhabited by the children in the story would be ideal. It encapsulates many of the core values we have at our school; responsibility, co-operation, inclusive – to name but a few. Noted children’s author, Brian Moses, opened the library and spent the day talking to children and reading with them. Also at the opening ceremony were parents, children, governors and teachers. Joint headteacher, Mrs. Beasley, was praised for her work in planning and developing the unique library concept with our children.